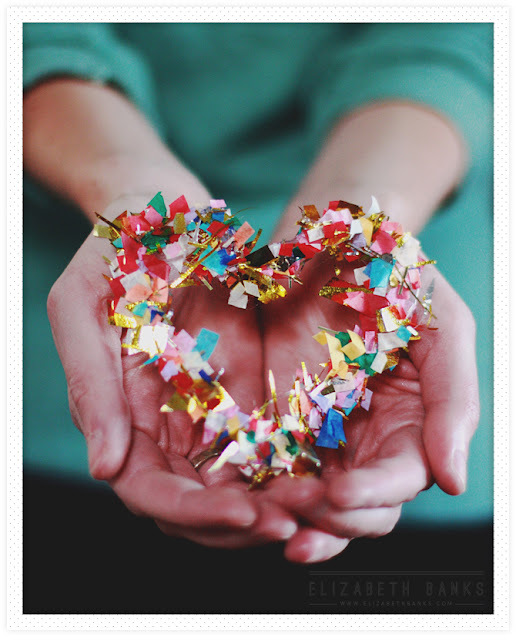 this tutorial for confetti hearts and thought it was gorgeous. a sweetheart of a thing to make. I'm thinking a nice big one for a wall hanging. Find the the full tutorial here at Elizabeth Banks.com. Really nice work i like such things very much they look really amazing as a decoration on special events like christmas and birthday parties and they are cheap and easy to deal with.